Hello! Today I have my swatches of August's MeeBox polishes to share with you. August's theme was Boho, and was also MeeBox's first Birthday! If you missed my initial unboxing post, you can find it here. 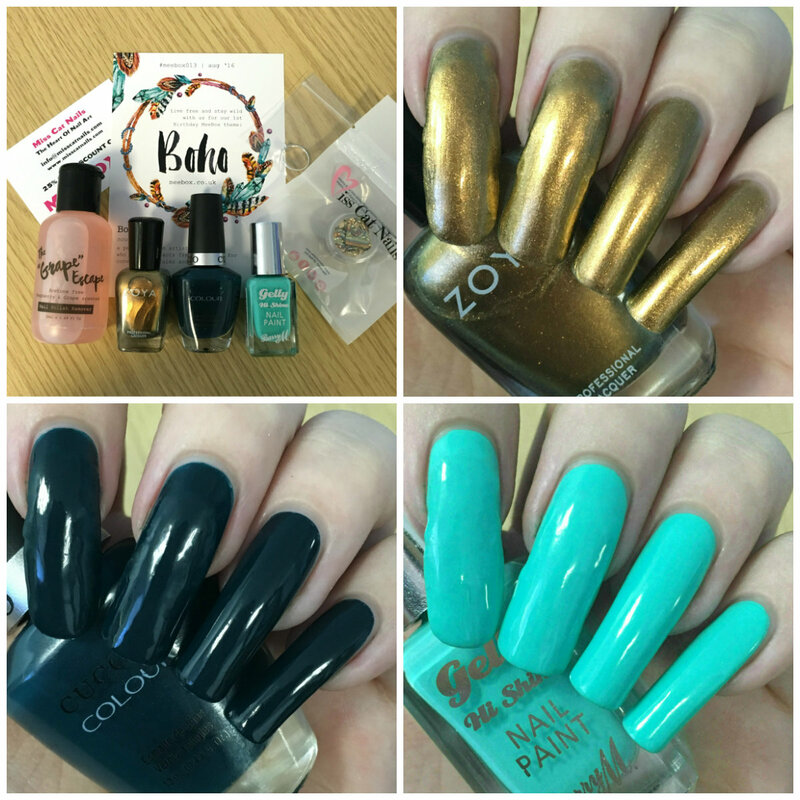 We received some gorgeous transitional polishes this month. Read on for full swatches and more info! 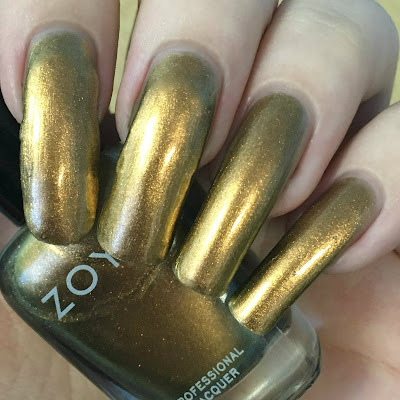 Zoya 'Aggie' is a warm gold to bronze metallic with a green flash. The formula was a bit thin but still easy to apply. It was fairly sheer on the first coat, so I did a thicker second one to ensure full coverage (I probably should have done three thinner coats). 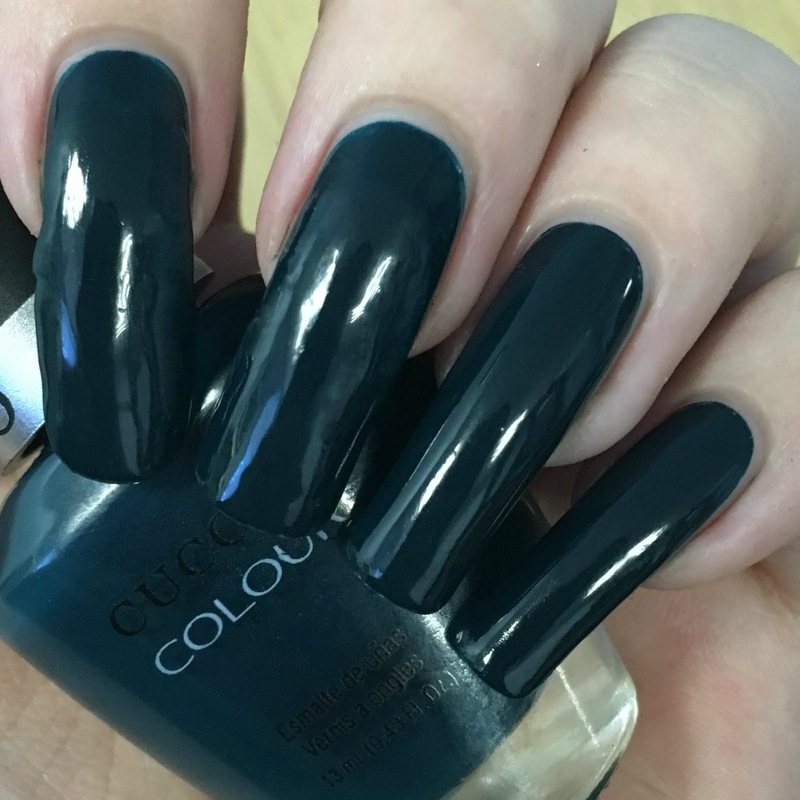 Based on other bloggers reviews and swatches, I wasn't expecting the green to translate - but I could definitely see it on my nails! Below is two coats and topcoat. Cuccio 'Prince I've Been Gone' is a deep teal green creme. The formula was very smooth and easy to apply. It was close to being opaque in one coat, but did need a second to cover up some lighter patches. It also dries down nice and glossy. I wore two coats of basecoat and managed to avoid any staining. Below is two coats and topcoat. Barry M 'Green Berry' is a bright turquoise green creme. 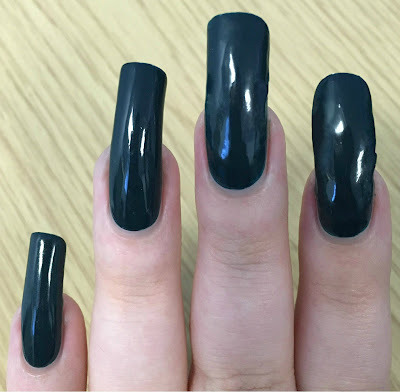 It is part of the gelly range, so has a slightly thicker formula but applies nice and smoothly. It covers well in the first coat but does need a second for full coverage. This also dries to a very glossy finish. Below is two coats and topcoat. While swatching these I tested out the MeeBox polish remover from this month's box. Being acetone free, I didn't expect it to be that great. However I was pleasantly surprised. I had no issues removing any of the polishes. The remover does smell strong close up, but I can definitely smell raspberry and grape - and it left my nails smelling gorgeous! What do you think? My favourite this month definitely has to be the bright Barry M, but I do like all three polishes. I was impressed that the green flash from the Zoya did actually translate to my nails. I'm also relieved that the Cuccio didn't stain. I have already done my nail art for this months box (which I love! ), and I'll be sharing it in my next post! Prince I've been gone is so pretty! Green Barry is stunning shade. 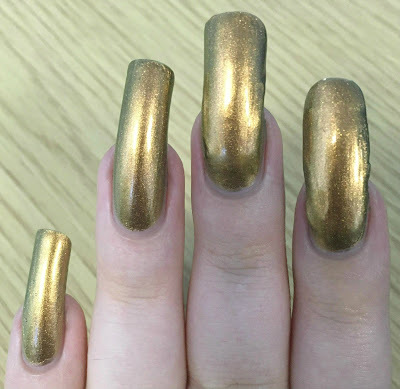 i found cuccico dry very fast when we apply over long nails and leave patchy finish, but color is awesome. Lovely swatches! Aggie really does look good on you! Gorgeous swatches, all the colours look amazing on you. Love that you can see the green shift on your nails with Aggie; very cool! 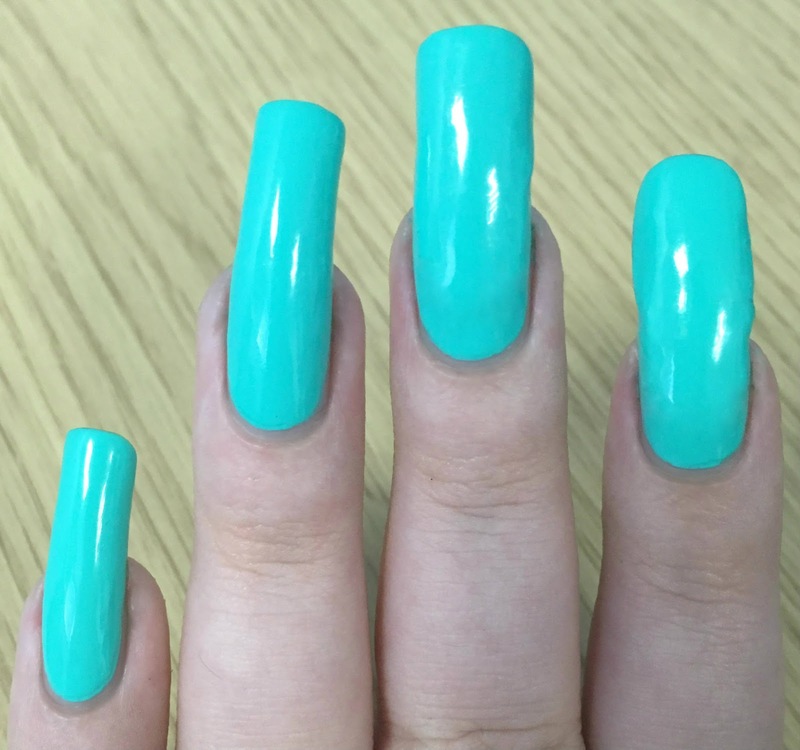 I love the turquoise Barry M! Great box!